The Calgary Flames had a regular season for the ages in 2018-19, winning 50 games for the second time in franchise history and finishing second overall. 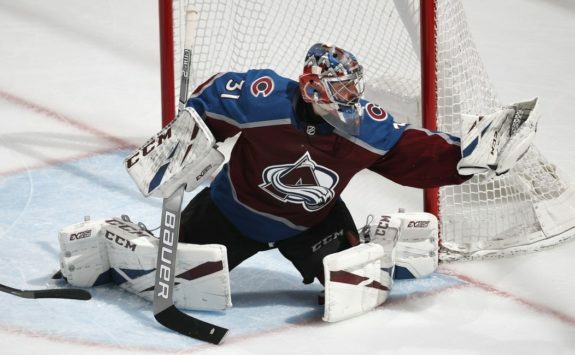 Their reward for their strength and consistency is a date with the red-hot Colorado Avalanche, who won a fevered battle for the final Western Conference wild card playoff spot. 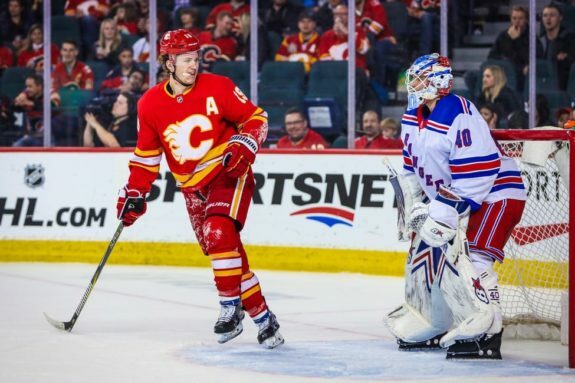 While the Avalanche are an intimidating group to play against, boasting some high-scoring forward talent and a hot goaltender in Philipp Grubauer, there are several aspects of the Flames that much up considerably well against their first round opponent. In the first half of the regular season, the Avalanche’s top trio produced an avalanche of goals. Comprised of Mikko Rantanen, Nathan MacKinnon and Gabriel Landeskog, they were among the highest-scoring forward lines in hockey for much of the season. Due to the Flames having home ice and last change, the Avalanche will likely place Rantanen (returning from injury) with Matt Nieto and Carl Soderberg and keep Alexander Kerfoot with MacKinnon and Landeskog in order to counter any match-up advantage they may have. While the Avs have a strong top six, the Flames have two very effective forward lines of their own. Their top line of Johnny Gaudreau, Sean Monahan and Elias Lindholm was one of the top trios in the league, while their secondary option of Matthew Tkachuk, Mikael Backlund and Michael Frolik retained their previous mantle as one of the NHL’s top shutdown groupings. With the Flames having home ice advantage, expect Backlund’s group to see a lot of Landeskog and MacKinnon while Monahan’s line will be tasked with countering Soderberg and Rantanen. With those match-ups, the Flames out-scored the Avs 3-0 at even strength in three regular season games. The Avalanche will roll out some combination of Colin Wilson, Derick Brassard, Matt Calvert, Tyson Jost, J.T. Compher, Sven Andrighetto and Gabriel Bourque as their bottom six grouping throughout the first round. Wilson is a tremendously underrated two-way player, while Jost and Compher are young and rapidly improving. Brassard has been a bit of a disappointment since joining the Avs. The Flames counter with an interesting pair of lines. Their third line didn’t play together down the stretch very much, but features sophomore Mark Jankowski between playoff menace Sam Bennett and playoff veteran James Neal (who’s been to the last two Stanley Cup Finals). Neal hasn’t been amazing this season, but the hope is his experience will elevate his line. Their fourth line was arguably the team’s best line over the past six-to-eight weeks – Flames head coach Bill Peters is a big fan – and features Derek Ryan between rookie Andrew Mangiapane and rugged winger Garnet Hathaway. Due to a combination of good match-ups and great hustle, the trio out-scored their opposition 15-2 at even strength over their half-season together. If the teams’ top two lines cancel each other out, the Flames’ forwards match up well against the Avalanche and their level of offensive production should be enough to put the Flames over the top in the series. The gap between the two teams widens a bit here, as the Flames boast Norris Trophy contender Mark Giordano, TJ Brodie, Noah Hanifin and Travis Hamonic within their top two pairs. The Avalanche counter with veteran Erik Johnson, the reliable Tyson Barrie, and a pair of young up-and-comers in Nikita Zadorov and Samuel Girard. The Flames have an edge with their battle-tested top defensive group. That said, the Avs have the advantage in net. Philipp Grubauer was superb down the stretch and he’s the best goaltender available to either team in the series, though he’s not terribly experienced in the post-season with just four starts. The Flames will try to find a balance between Mike Smith and David Rittich as their answer to Grubauer’s performances. For the Flames, keep an eye on Rasmus Andersson. The rookie blueliner won a full-time job this season through a combination of smart positioning, physicality, and his accurate shot from the point. Originally in the minors to open the season, he’s a big part of the Flames’ second power play unit. If he can get pucks on net and create rebounds, it could translate into scoring chances for the likes of Bennett, Neal, Hathaway and Ryan as they crash the net-front area. For the Avalanche, Matt Calvert is one of the more quietly effective two-way players in the game. A heart-and-soul forward who’s always in the meat of the game, he’s a strong possession player though he’s never quite been able to translate that talent into gaudy offensive numbers at the NHL level. He’ll be asked to help stymie some of the Flames’ third and fourth line offensive players.